If you rent Le Foulon with 12 or more friends then you have the option to self-cater; just like hiring your own villa you will have the place to yourself and have no staff services. However, if you'd like one or more evenings catered then we offer a chef service to take the hard work out of your holiday - please enquire for details. When Le Foulon is run as a bed and breakfast we have a restaurant and bar exclusively for resident guests only (except for Sunday Roasts - please call to reserve your table). Our menu changes daily and our food is Provencal through and through. We use as much local produce as possible, but with the Italian border so close it's inevitable that a few dishes have strayed from that way. We like nothing better than introducing a new food experience to our guests, but we also endeavour to make our menus as accessible as possible, and will do our very best to assure your culinary experience here is first rate. At the bottom of this page you will find some example menus. 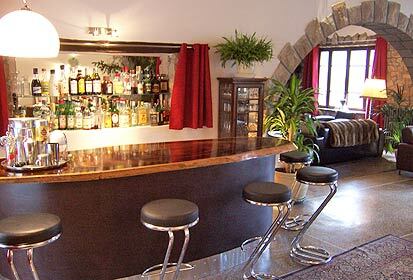 Our informal bar serves everything from a bottle of 1664 beer to a rather excellent champagne, complex cocktails to a good old fashioned gin and tonic. Whatever your tipple we aim to have it in stock. 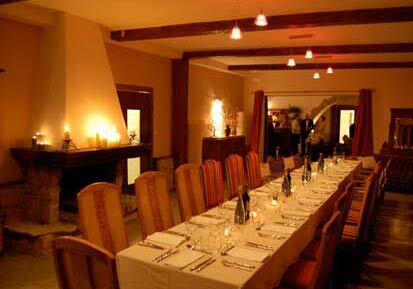 Each evening we offer a menu with a choice of starter, main course and dessert. Here is list of some of our dishes, which we are adding to all the time. Breakfast is served from 08.30 until the last person's up!